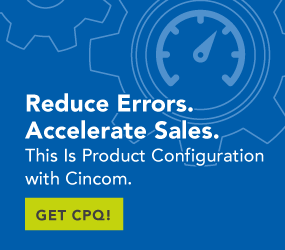 CPQ is not simply a standalone tool for your sales team. In most cases, the solution will extend into, or touch, many functional areas and systems within your organisation. These will include financial systems and processes, order management systems, supply chain management systems, inventory tracking, production scheduling, distribution and after-sales support. Vendor specialising in CPQ or one that offers CPQ as a part of a larger system – A number of the major business automation solution providers see CPQ as a part of a larger puzzle. It is offered as one of many functional modules designed to integrate with a much larger system such as ERP or sales automation and ecommerce. Other vendors build their CPQ offerings as a self-contained system that includes interface hooks to allow the system to integrate with and work within your unique environment. Both can work for you, but you should be aware of which type you are buying and how it will impact your implementation and rollout within your organization. Vendor market specialisation – Some market verticals are more demanding than others in terms of special functionality or emphasis. Electronics and high tech are frequently challenged by low margins driven by brutal competitive realities that are unique to that sector. A&D requires agile CPQ that can handle the government acquisition process and revenue recognition associated with huge projects delivered over multiple years. Make sure your vendor is experienced in your vertical.